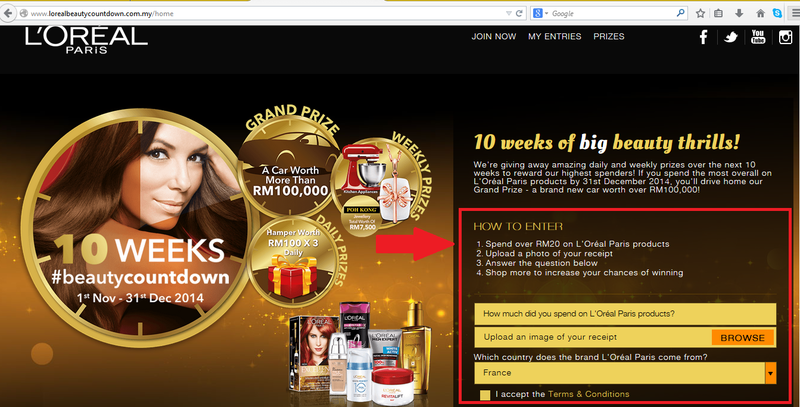 L'Oreal Paris BeautyCountDown Contest | Rm100,00 worth prize to be win! The grand prize winner will drive home with an awesome brand new car worth RM100,000! 1. Purchase any L'Oreal product with minimum spend RM20 and above. 3. Fill in the information by following the guideline. 4. Upload your receipt as a proof. 5. Drink some hot chocolate and cross your finger.